MACAULAY (McAulay), ANGUS (Æneas), schoolmaster, physician, Presbyterian lay preacher, and politician; b. 10 Dec. 1759 in Scotland, probably in the parish of Applecross, son of Æneas Macaulay, a Presbyterian minister, and Mary Macleod; m. February 1790 Mary Macdonald at Bornaskitaig, Scotland, and they had three daughters and three sons; d. 6 Dec. 1827 on Prince Edward Island. Angus Macaulay was related to the well-known Macaulay family of London. After graduating with an am from King’s College, Aberdeen, in 1782, he probably attended Divinity Hall, Marischal College, in the same town from 1783 to 1785, and he was licensed to preach by the Syod of Glenelg upon the completion of his studies. Instead of taking up a pulpit, however, he accepted a position teaching school on Skye, and in 1789 became an estate agent for Lord Macdonald at Trotternish. In a successful effort to obtain a chaplaincy in the British army Macaulay recruited “22 hardy Highlanders” and marched to Edinburgh at their head to present them personally to Lord Adam Gordon, the commander in Scotland. Although he appears to have been unable to find a permanent niche in his homeland, Macaulay’s qualifications were ideally suited to the purposes of the Earl of Selkirk [Douglas*] when that worthy sought to enlist Highlanders for a proposed settlement in Upper Canada. He became Selkirk’s principal agent in the recruitment of potential emigrants and met much opposition from the landholders in the western Hebrides over the autumn and winter of 1802–3. With Macaulay’s assistance, Selkirk succeeded in signing up more than 800 Highlanders for his proposed settlement at present-day Sault Ste Marie, Ont., promising them inexpensive and even free transportation to Upper Canada, full provisioning while in transit, and land at reasonable prices. Tenants were to be provisioned on their land for two years and returned home at Selkirk’s expense if not completely satisfied. Macaulay always insisted that his honour as well as his employer’s was pledged to these commitments, which the earl was unable to implement when the British government at the last minute refused to sanction the scheme. In the spring of 1803 Selkirk did manage to gain grudging government support for a change of destination to Prince Edward Island, where he was able to obtain a number of unsettled lots at bargain prices. Macaulay was forced to renegotiate the original agreements but many of the emigrants refused to change destination and demanded the initial terms. 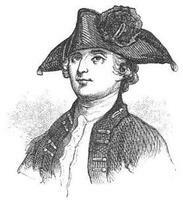 He apparently promised that he as well as Selkirk would accompany the settlers to the Island. To add to his credentials, he applied for and was granted an md degree from the University of Glasgow in 1803. To his surprise and chagrin, Macaulay discovered that he was not to be rewarded for his recruiting efforts with the management of Selkirk’s interests on Prince Edward Island, that plum being given to businessman James Williams*, who arrived on board the Oughton several weeks later than the Dykes and Polly in August of 1803. Macaulay thus disembarked as a former employee with a number of complaints against Selkirk, and his sense of grievance with his treatment was exacerbated by subsequent developments. A proud man with the sense of “honour” typical of the Highland tacksman class, Macaulay alienated both Selkirk and Williams. He stridently insisted that neither he nor the settlers were being treated in accordance with the initial promises. Although the accusation was perhaps technically true, Selkirk always felt that equivalents had been offered and no one forced to come against his will. Part of the problem, unfortunately, was that the earl did not remain long on Prince Edward Island to see that his commitments were carried out by Williams. Moreover, Macaulay quickly became persuaded that Selkirk had surrounded himself with sycophants and land speculators and was being exploited by the group of officials and landholders who ran the government of the Island. Inevitably he drifted into the ranks of the opponents of the “cabal” or “old party” as it came to be called. The opposition centred at first around Edmund Fanning*’s successor as lieutenant governor, Joseph Frederick Wallet DesBarres, and DesBarres’s principal adviser, James Bardin Palmer, although in 1806 it organized a society called the Loyal Electors which met monthly at Bagnall’s Tavern to discuss public issues. From the beginning of settlement, Angus Macaulay enjoyed a strong popular support among the Highlanders brought by Selkirk, serving them as schoolmaster, physician, and lay preacher. At his own expense he erected a chapel near his house (on the 1,100-acre lot on Point Prim granted him by Selkirk for his services), preaching regularly there in Gaelic and occasionally visiting other Gaelic-speaking Presbyterian districts on the Island; he also taught school at this “chapel of ease.” Macaulay was thus easily elected to the House of Assembly in 1806 as a representative of Queens County. Soon afterwards he had his first serious encounter with the “old party,” when he received from DesBarres a licence to practise law in the Supreme Court but was prevented from pleading by Attorney General Peter Magowan*, acting as a friend of the court, on the grounds that Macaulay lacked legal training and was a clergyman besides. The Highlander’s response was that although he was not educated to the law, he understood Gaelic, an essential ingredient in legal dealings with the new arrivals. Only a few months later, early in 1807, Macaulay attempted to organize an exodus from the Island, where “industrious and Loyal Emigrants are paralyzed by indolent and monopolizing Land Proprietors of the uncultivated Wilderness in North America,” but the authorities on Cape Breton displayed little enthusiasm for his schemes. Over the next few years after 1807, Macaulay’s public activities developed along two related fronts. One was vocal criticism of Selkirk and his agent James Williams, the other an increasingly closer relationship with the Loyal Electors, which he formally joined in 1809. 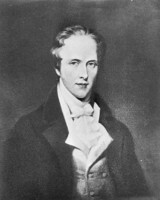 By 1810, when Selkirk’s dissatisfaction with Williams’s performance as agent was reaching its height, the earl wrote to Captain John MacDonald* of Glenaladale that the rising troubles with Williams would undoubtedly bring into the picture Macaulay, “a character who cannot be unknown to you, tho you have probably not had the misfortune to know him as well as I do. His abilities are unquestionably great & he is also a man of great plausibility; but I have too certain experience, that no reliance can be placed on anything that he says: I have also seen in his conduct symptoms of a temper so diabolical, that in justice to human nature I can only describe them to a touch of mental derangement – which may perhaps account equally for his violence & his inconsistency. “Captain John did not disabuse the earl of this opinion, writing independently at about the same time to Selkirk that Macaulay was “officiously mischievous . . . on every occasion, railing, execrating, and incensing the populace against the Proprietors.” Although many considered him “the Mad Dr. Macaulay,” continued MacDonald, he was potentially a “first rate firebrand for kindling the Zeal of the Levellers,” and at Loyal Elector meetings constantly abused Selkirk. 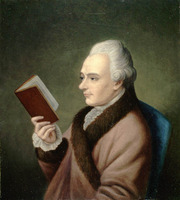 Macaulay’s discontents were added to by the fact that his crops had failed regularly so that he was forced to advertise some of his land for sale in 1811. Some months later, on 31 Aug. 1811, the Weekly Recorder of Prince Edward Island reported a speech to the Loyal Electors on the land question by William Roubel, secretary of the organization. Roubel had accused Selkirk of purchasing Island lots for a “mere trifle” and peopling them with Highlanders “at their own expense,” charges supported by Macaulay in “a very animated and loyal Speech.” Shortly thereafter, printer James Bagnall* advertised for sale a pamphlet by Macaulay answering claims in a London newspaper that new immigrants to the Island had been abandoned on a beach. The pamphlet itself has not survived, but Macaulay apparently distinguished between the generous treatment given the newcomers by the local population and their exploitation by the proprietors. Macaulay also became involved in the “affidavits affair.” In the late summer he and four other members of the Loyal Electors had sworn out affidavits bitterly critical of the administration of justice on the Island. Copies fell into the hands of Attorney General Charles Stewart*, who in October brought charges in the Island’s Supreme Court that Macaulay had committed a “certain false wicked infamous and malicious libel” against Chief Justice Cæsar Colclough. The statement singled out as libellous Macaulay’s allegation that the sheriff appointed by Colclough in 1810 (James Williams, although not named in the affidavit), “the Agent of a powerful Nobleman,” had marched “at the Head of a prodigious number of Highlanders, composing no small Proportion of the Electors of this County, with Colours flying and Bagpipes playing to Influence the Elections” of 1806. The “Terror in the eyes” of some of them had revealed that they “from their Debts were obliged to Vote, as he the said Agent directed, though some of the People knew nothing about the Candidate, who lay upon his Death Bed, at the time.” This statement probably had some basis in fact, but the criticisms made about Lord Selkirk elsewhere in the document were most unfair and probably actionable. In any event, the case against Macaulay was not proceeded with. Legislative elections called in April 1812 were hard fought between the Loyal Electors and the “old party.” William Roubel was routed in Charlottetown, but both Attorney General Charles Stewart and John Frederick Holland*, the leading spokesmen for the “cabal,” were forced to withdraw from the hustings by public opposition. Although the “old party” elected a majority of the assembly – the Loyal Electors returning only 7 of 18 members, including Angus Macaulay – it was bereft of its leadership and chose to boycott the August–September 1812 session. As a result, the house was able to request that the lieutenant governor suspend Chief Justice Colclough for his part in the affidavits affair, which DesBarres did with alacrity and obvious relish. This action was the high point of the Loyal Electors’ campaign against the “old party,” for in response to information supplied by that party the proprietors at home forced the recall of DesBarres and the revocation of all James Bardin Palmer’s many offices. 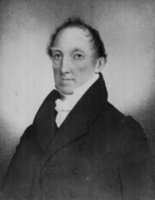 The new lieutenant governor, Charles Douglass Smith*, who arrived in mid 1813, was no friend of private political organizations, and he quickly determined that the Electors were a dangerous confederacy who well deserved the attacks made upon them. Smith prorogued an unruly assembly in January 1814 and refused to meet it again for nearly four years, thus depriving critical gadflies such as Angus Macaulay of an official public platform for their views. In a valedictory of sorts on his participation in the Loyal Electors, Macaulay in 1814 penned a lengthy letter of explanation and exculpation to his former employer Lord Selkirk, who had led the absentee proprietors against the society. The epistle was not in the least submissive, but it did attempt to explain Macaulay’s actions; it also demonstrated his facility with the pen, showing him a worthy successor to fellow Highlander John MacDonald as an acerbic critic of Island foibles. Apologetically remarking that “a Cervantes or a Swift would make a valuable production from such materials as I have,” Macaulay insisted that the “cabal” had hoodwinked the great while it “preyed equally like Peacham in Beggar’s Opera upon the absent proprietors & industrious inhabitants.” At the time of Selkirk’s arrival, he continued, “the bulk of the inhabitants of the island consisted of entrapped Loyalists & illiterate Roman Catholic Highlanders, the latter mostly floating over the face of the country like Scythians, without money, bedcloaths, or permanent holdings for residence.” Selkirk, he maintained, had been duped by the land speculators and had mistakenly chosen to support them. “The Kings Lands,” Dr Macaulay insisted, “are every where else to be had in North America but [in] this monopolized wilderness,” and he offered “to extricate the real Proprietors of whom you are one & [the] cultivating Inhabitants from the old system ruinous to both.” Selkirk never answered this letter, and soon found himself embroiled in two legal actions brought by Macaulay, one dealing with alleged unfulfilled promises in 1803 and the other the “libellous” statement the earl had made about him in his 1810 private correspondence with Captain John MacDonald, which had somehow fallen into Macaulay’s hands after Captain John’s death. When Lieutenant Governor Smith called for elections to a new assembly in 1818, Macaulay was returned from Queens County, and was active as speaker of the house in opposing Smith and his government. Elected again in 1820, Macaulay was once more chosen speaker when the house convened in July. This session was soon prorogued and Smith did not meet the assembly for the remainder of his term in office. Both sessions had witnessed scenes of open hostility between lieutenant governor and assembly, but Smith continued in office until he attempted in 1822 to collect quitrents which had been allowed to remain in arrears for some years. Led by John Stewart, the political élite of the Island turned upon him, and he was challenged at public meetings called in March 1823. Although Macaulay was easily returned to the assembly in 1824, he was resoundingly defeated in a contest for the speakership by the triumphant Stewart. This defeat marked the end of Macaulay’s public career on the Island, although he continued his religious and medical ministrations until his death. Regarded by most of his contemporaries as brilliant but unstable, Macaulay nevertheless stood by his people publicly and privately for more than a quarter of a century. Despite his rejection by Selkirk, Angus Macaulay had probably been the most consistent, honest, and useful agent the earl ever employed. Their incompatibility was a tragedy for the Highlanders of the Island. National Library of Ireland (Dublin), Dept. of mss, ms 20287 (5) (O’Hara papers), Cæsar Colclough to Charles O’Hara, 18 Oct. 1812. PAC, MG 19, E1, ser.1, 39: 14977–15005; 50: 19123–44, 19153–56 (transcripts). PAPEI, Acc. 2534/24; Acc. 2849/129; RG 6, Supreme Court, case papers, 1811, King v. McAulay; 1812, King v. Williams. Private arch., Duke of Hamilton (Lennoxlove, Scot. ), Hamilton muniments, Brown papers (National Reg. of Arch. (Scotland) (Edinburgh), Survey no.2177), bundle 1515, Macdonald of Boisdale to Robert Brown, 1 Dec. 1802; bundle 1516, James McDonald to Brown, 25 March 1803 (researchers wishing to consult papers should contact the National Reg. of Arch.). PRO, CO 226/22: 159–64; 226/42: 42. Douglas, Lord Selkirk’s diary (White). Weekly Recorder of Prince Edward Island (Charlottetown), 31 Aug., 14 Sept., 2 Oct. 1811. Roll of alumni in arts of the University and King’s College of Aberdeen, 1596–1860, ed. P. J. Anderson (Aberdeen, Scot., 1900). A roll of the graduates of the University of Glasgow from 31st December, 1727, to 31st December, 1897 with short biographical notes, comp. W. I. Addison (Glasgow, 1898). Scott et al., Fasti ecclesiœ scoticanœ, vol.7. J. M. MacLennan, From shore to shore, the life and times of the Rev. John MacLennan of Belfast, P.E.I. (Edinburgh, 1977). M. A. Macqueen, Hebridean pioneers (Winnipeg, 1957), 63–71; Skye pioneers and “the Island” ([Winnipeg, 1929]). J. M. Bumsted, “The Loyal Electors of Prince Edward Island,” Island Magazine, no.8 (1980): 8–14; “Settlement by chance: Lord Selkirk and Prince Edward Island,” CHR, 59 (1978): 170–88. D. C. Harvey, “The Loyal Electors,” RSC Trans., 3rd ser., 24 (1930), sect.ii: 101–10. J. M. Bumsted, “MACAULAY, ANGUS,” in Dictionary of Canadian Biography, vol. 6, University of Toronto/Université Laval, 2003–, accessed April 24, 2019, http://www.biographi.ca/en/bio/macaulay_angus_6E.html.